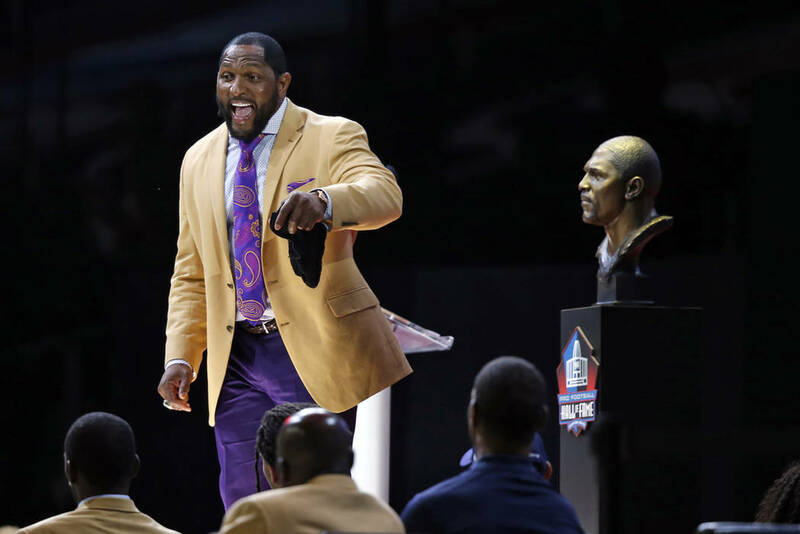 One of the great leaders football has seen, Ray Lewis used his Pro Football Hall of Fame induction speech to call for more enlightened leadership in our country. 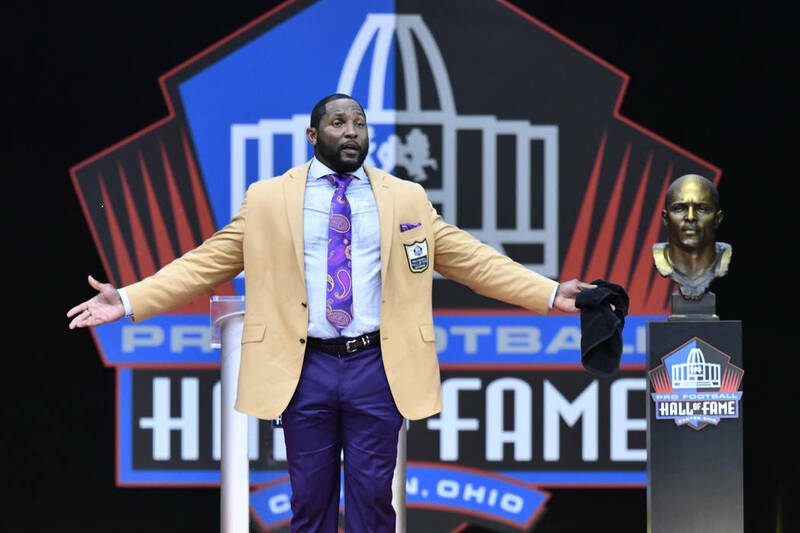 CANTON, Ohio — One of the great leaders football has seen, Ray Lewis used his Pro Football Hall of Fame induction speech to call for more enlightened leadership in our country. 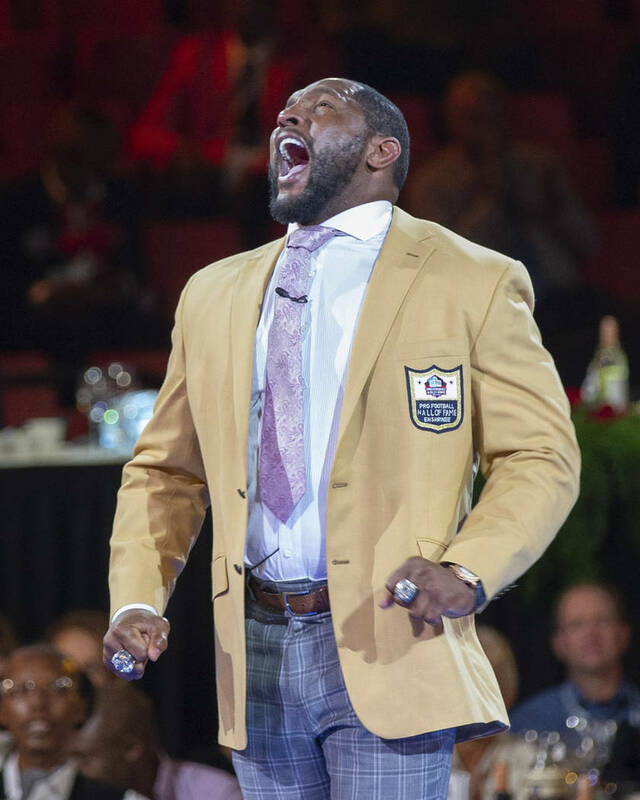 A first-year nominee, Lewis was selected 26th overall in the 1996 draft — what were other teams thinking? 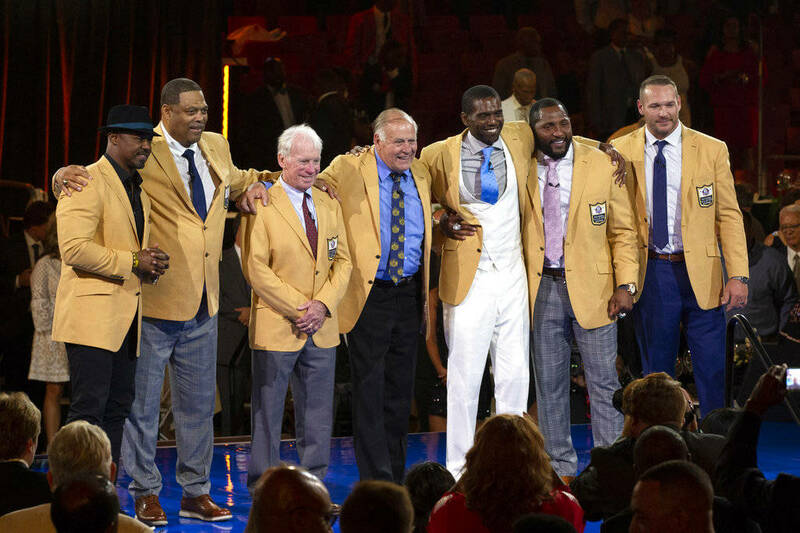 He wasn’t even Baltimore first choice: Jonathan Ogden was, and the big tackle made the Hall of Fame in 2013. 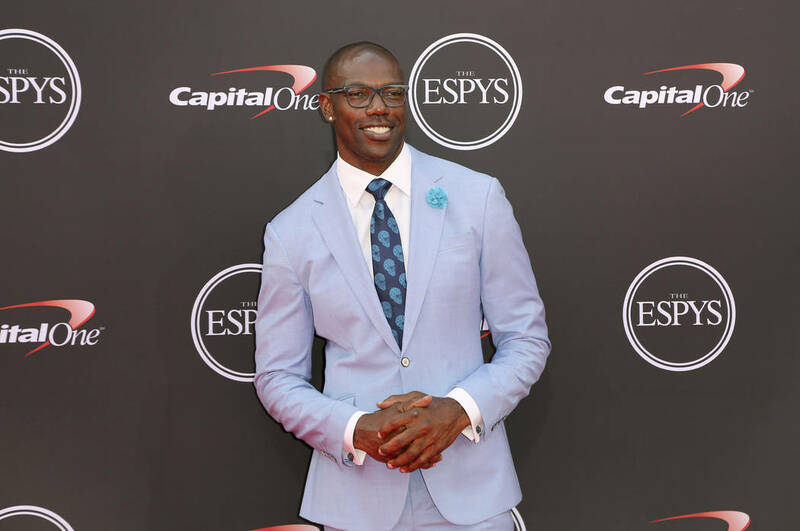 One of those Hall of Fame brothers, Terrell Owens , declined to attend. 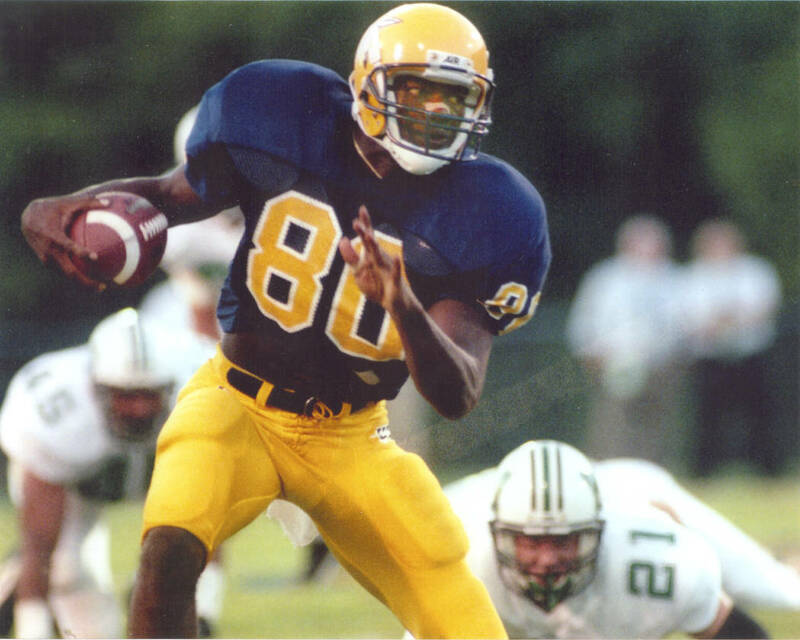 Instead, he held his own celebration at his college in Chattanooga, Tennessee. 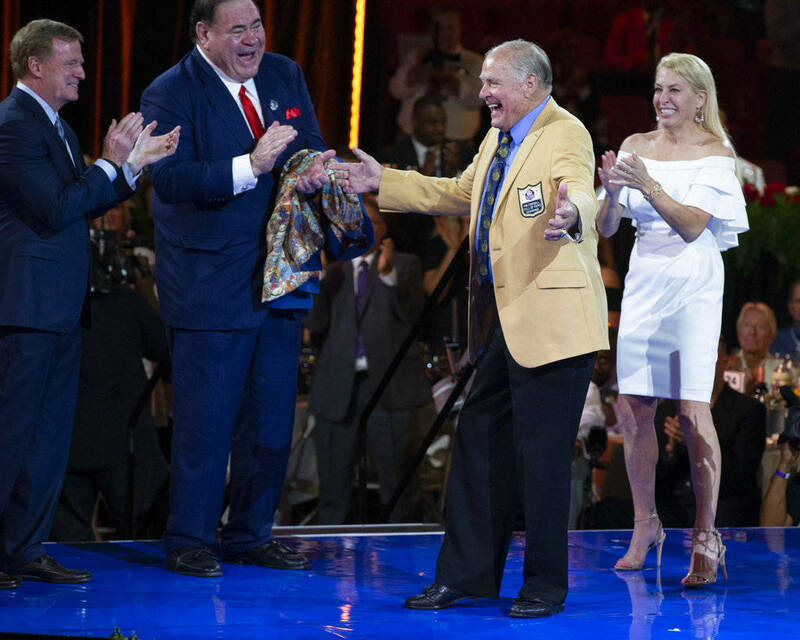 He was shown in a video and his photo was hanging in Tom Benson Stadium. Otherwise, T.O. was MIA.